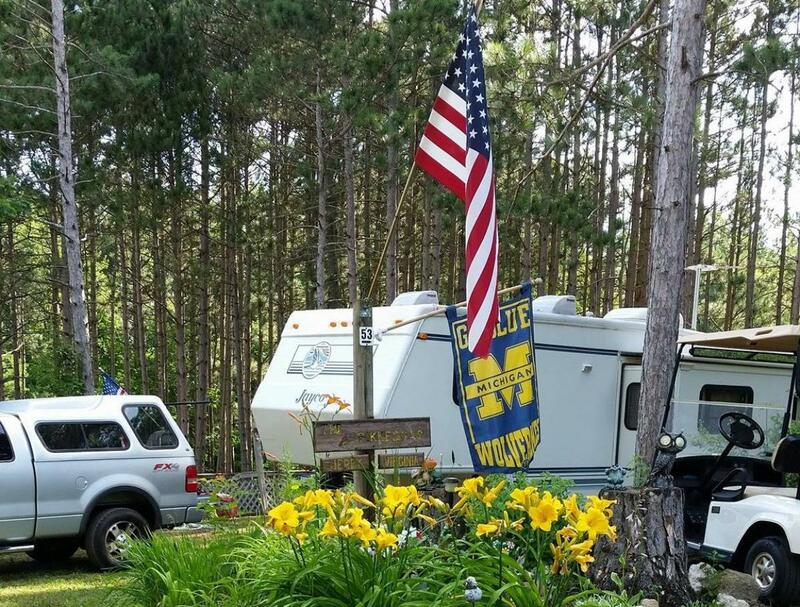 Come camp with us at our quiet Family Campground located in picturesque Oceana County, away from the hustle and bustle of the West Michigan tourist areas but close enough to enjoy them. We are conveniently located halfway between Muskegon and Ludington, one mile west of US 31 freeway, exit 140. 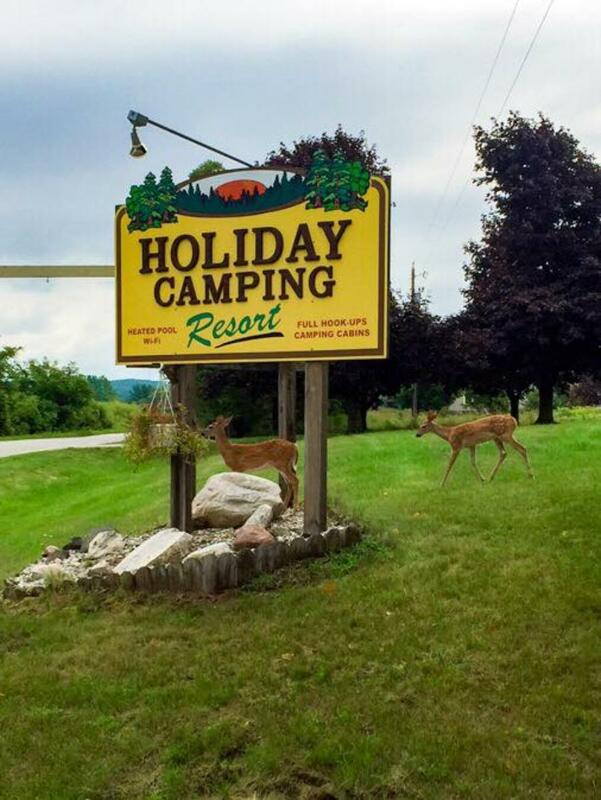 We are pet friendly and offer spacious Full Hook-Up RV sites, Pull-through sites, Water and Electric sites, Electric only sites and a nice Group Camping Area. 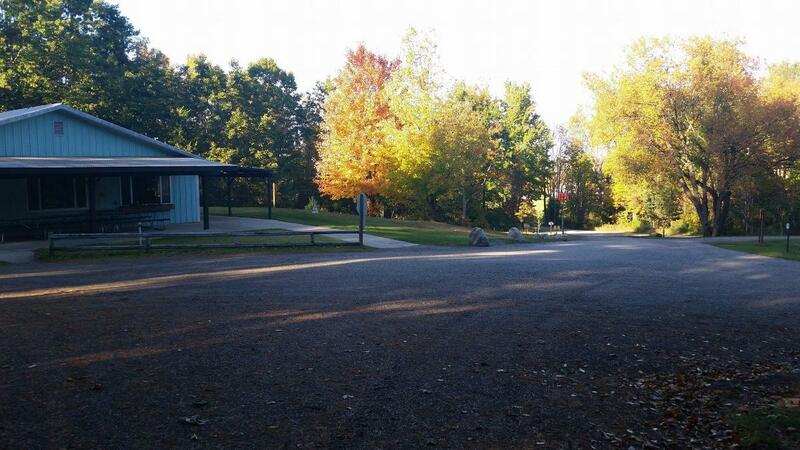 Each site comes with a picnic table and fire ring. We have nightly, weekly, monthly and Seasonal rates. 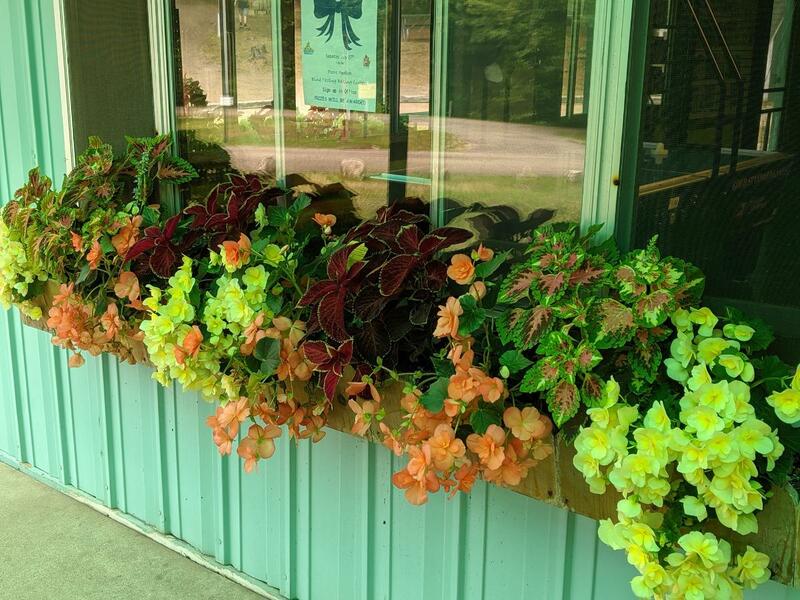 We have FREE WI-FI throughout the campground, an outdoor heated pool, playground, camp store, rec room, horseshoe pit, basketball, sand volleyball, fenced in dog run and hiking trails. We also have 2 camping cabins available for rent. This year we will be having random activities scheduled in addition to scheduled activities. Please check back for our scheduled activities.